If you are building up your Crimean War armies, then these Regimental Deals can help you do that quicker and cheaper. 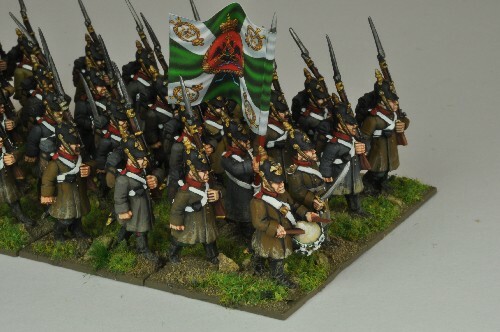 Buy a 24 man regiment, made up of one command pack, two Infantry packs and one Grenadier pack, all figures in Helmets. Figures supplied unpainted, flag and pole not included. Painted by Давид Woodwardski for his own collection.